Let Your New Adventure Begin…Get Started Today! 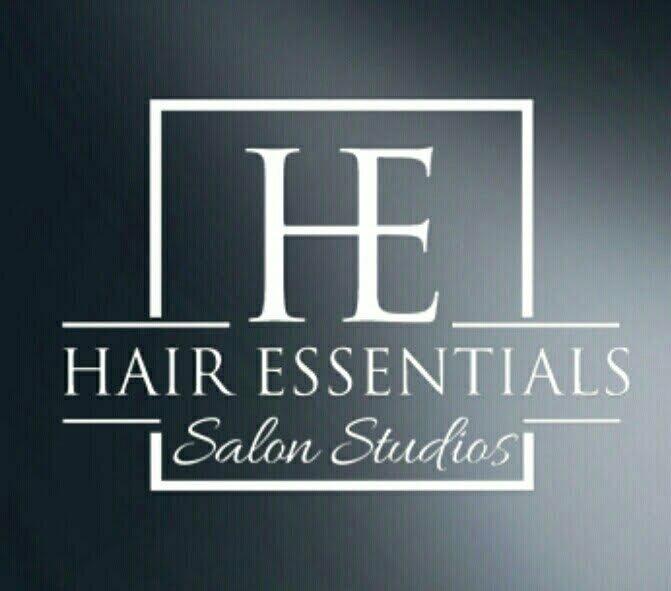 Welcome to the Hair Essentials Salon Studios main page where all of your dreams will start falling together. We offer a variety of studio sizes to fit your style and accommodation needs. Small studios all the way up to an extra large studio, just waiting for you to call your own. What your studio becomes is completely up to you. Design your studio to fit your needs and display your personality to your customers. We simply provide the canvas for which you may create your perfect business design matching your visions. Each studio is available to customize to your unique personality and fully equipped with all the things you may need to get your clients looking and feeling their best. All studios provide keyless entry, audio/video access for your customers, complimentary commercial laundry facilities, state-of-the-art ventilation systems, and all utilities included in the lease price! We put you in control of your business and simply provide the space for which you are destined to create the beauty. Whether you do hair, nails, or massages, we’ve got you covered. Being that you can access your studio any time of the day, 7 days a week, you’ll be able to work your magic at what ever time works best. Create a space that is inviting to your guests, and comfortable for yourself all while networking with other experienced professionals. We offer a private break room for our professionals to enjoy their lunch time in, well-stocked and tidy restrooms, as well as a tidy common area that is spacious and upscale in design. You will be set in a location that offers quite a bit of walk-in opportunities, along with free parking for the customers. There are various other packages available if you are not simply a shampoo and style kind of person. There’s Aestheticians, massage therapists, beauty retail professionals or industry consultants and more to choose from. You will be ready to open the doors and start your business easily with your styling station, styling chair, shampoo station, shampoo bowl and hair dryer all set up. There is Wi-Fi so your guests can surf the web when you’re dolling them up for the town. Many, many more options to choose from! From a customer standpoint, we are the one-stop-shop for beauty! We understand that everyday life can be stressful for the average human, so we are here to help you create a special little retreat of luxury for you and your clients to relax in. Take a step from behind the counter, being the employee of life, and become the boss of your own business right here with us at Hair Essentials Salon Studios. We are here for you and your business, whenever you need us. Some of you start working in partnership with other established brands or start operating from home, but both these ways can’t let you get the success you are looking for. It’s hard for the newbie’s like you to own a beauty studio on your own, in the start itself, since it requires a lot of cash to settle everything down from place to equipment, from amenities to furniture’s, etc. That is the reason we at Hair Essentials Salon studios are here to help you, by giving you the opportunity to start your own boutiques where you can build your clientele and can make as much profit as you can. We started doing this just to help those young beauty professionals, who have the talent and skills to become a name or brand themselves but didn’t have enough amount to start their venture on their own. So we provide them their dream operating place at lease which they can easily manage, along with the assistance they might require to maintain the environment which is beneficial to their business. • You can use the space as your own beauty studio. Here you will get full privacy, which you won’t get at home or while working with anyone else. You can operate from here in the way you want without any interference. • Here you will be surrounded by the people like you so that it will be easier for you to exchange ideas, learn from each other and grow together, since you are also new in the industry. • You might be working with a brand but it’s always great to work for yourself on your terms and conditions. You can decide your working hours and maintain your own work schedule as you like. • Since the studio is fully furnished and has all the equipment, supplies, amenities and furniture’s, you need not spend a penny on it. But in case you want to change some of the interiors, you can do that. Even we are responsible for the maintenance, you just have to do your business and pay us the rent and rest we will take care of. • We have also provided security cameras and private entry with locking studio to enable more security for you. • Well maintained restrooms are also there for you and your client’s usage. • You are accountable for your own business, no more dealing with the salon politics. • An incredible blend of beauty experts who cultivate referrals. Leasing with us let you an awesome referral opportunity since you will be surrounded with other beauticians. For instance, a nail artist can allude somebody to a hair stylist or vice versa. The client need not leave the location to perform other beauty tasks. • You keep 100% of your pay! Clearly, this is one of our occupant’s most loved advantages. No benefit sharing or tip pools. You keep what you earn. • You can access your studio any time you want; it is open for you 24*7. Beauty industry runs on clients since you have your own place there is no need of saying no to any appointment. • Purchasing a studio on your own will be quite expensive for you. Whereas Leasing permits you to minimize your expense so that you make more profit. • There’s nothing wrong to work under someone or to have a boss but with our studios, you will be your own boss and will get the freedom to work as per your convenience. • You can build your own brand. Having a devoted salon space permits a beautician or esthetician the advantage of having their own place of work as opposed to utilizing a street number. This furnishes the beautician with greater credibility. • You can also sell products which you support but you can’t sell styling products given to you by us. • We provide studios for all sorts of beauty professionals including hair stylists, nail artists, estheticians, massage therapists and much more. Now you must be thinking how clients will approach you? So the answer is quite simple, you will be having your own presence with us on our website along with your profile and contact details. Clients will call you directly to make appointments. We at Hesstudios.org are at your service regardless of the services that you are looking for. If you want some professional salon and nail services, then call and get a studio booked today. Everyone who works in the establishment is a professional. We know that your hair and nails are important to you. We would want to ensure that anyone who comes into contact with them is a professional who knows what they are doing. We are able to make this happen by vetting the staff and ensuring that they have the necessary training before entrusting them with a client. We have the best customer service in the area. We ensure that all of our clients are comfortable as their hair and nails are done. This is made possible through high quality comfortable seats, a great waiting area and some entertainment through the process to ensure that you do not get bored. While some salons offer only one type of service, we do our best to ensure that you can find all hair and nail services under one roof. We have different experts who are skilled in different processes. You can rest assured that you will get the service you are looking for, that they will be provided by a professional and that you will be happy about the results you get after the process. One of the hardest things about finding a hair and nail salon is the price charged in these establishments. You might find a good stylist but you may only be able to use them once a year because the exorbitant prices are not sustainable. At Hesstudios, we provide our high quality, professional services at affordable fees so they can be sustainable in the long run. Hesstudios is the best in the area. If you would like a professional who will cater to your hair and your nails, give us a call today. We will help you achieve or maintain your unique and neat look through these professional services which you can get at affordable prices. We will find you a studio and make an appointment per your convenience as we are here to serve you faithfully. We also provide Oxygen therapy, Aromatherapy, meditation and mud bath that can help relieve muscle and joint aches and pains. It also takes the stress off your body, detoxifies your body, softens skin, improves circulation, balances pH levels and also silences the outside world. We do have skin care services and skin health wherein you can try our facial treatments like microdermabrasion with crystals, HydraFacial MD, Microdermabrasion with Hyaluronic Acid Infusion, Biophora Deep Cleansing Facial, Fire and Ice Red Carpet Facial, Cocoa Enzyme Facial Treatment, Oxygen Infused Facial, Back Facial and Micro Facial depending on your skin needs. At Hair Essentials Salon Studios, we offer various types of massages. You can choose from Neuro muscular Therapy Massage, Swedish Massage, Aromatherapy, Hot Stone Massage, Chair massage, Deep Tissue Massage and Trigger Point among others. We also provide hair services including hair removal, eyelash extensions, threading, waxing and nail services. As part of our nail salon experience we provide our customers with nail enhancements, manicure and pedicure treatments, nail art, nail extensions,Silk/Fiberglass overlays and extensions like UV gel overlays and Acrylic overlays. We can also help you in removing callus, foot care, cosmetic treatments and facial aesthetic. Call Us now at (734) 340-6503 to schedule an appointment! There’s a couple of restaurants you can visit after a great day at the salon. You can grab a bite at Ann Arbor Ichiban Japanese Steakhouse & Sushi Bar. Ann Arbor Secretary of State office is also located nearby as well as the US Marine Corps Recruiting Office. Hair Essentials Salon Studios in located in Ann Arbor Michigan in Washtenaw Ave. Ann Arbor is a city in the U.S. state of Michigan and the county seat of Washtenaw County. It is also the home of the University of Michigan and considered as the sixth largest city in Michigan allowing Hair Essentials Salon Studios to offer private, relaxing, upscale, spa setting throughout the region. Driving Directions from University of Michigan Ann Arbor to Hair Essentials Salon Studios: Head west on Geddes Ave toward Washtenaw Ave, Turn left at the 1st cross street onto Washtenaw Ave for about 4 miles and you should get to Hair Essentials Salon Studios salon in Ann Arbor. Driving directions from the Ann Arbor Airport to Hair Essentials Salon Studios: Get on I-94 E in Ann Arbor from S State St. Continue on I-94 E. Take Exits 180A-180B to Washtenaw Ave in Pittsfield Charter Township. Take exit 37A from US-23 N. Merge onto I-94 E take exit 180A-180B to merge onto US-23 N then take exit 37A toward M-17/Ypsilanti use any lane to turn right onto Washtenaw Ave and you should get to Hair Essentials Salon Studios salon in Ann Arbor. H.E.S.S offers a luxury spacious unique designed suite equipped with all the amenities needed to run a successful business. We give all beauty professionals the opportunity to own and operate their suite independently verses paying for Booth Rent. We offer a private, relaxing, upscale, spa setting, but without the expense and hassle of facility management and utilities. Call today!